WHAT: Premiering at The Others Way this year is 'Birthday Suite', directed by Sam Kristofski who will also introduce the film at the start of the festival. Shot mainly on 35mm, the film is a surreal, dream-like visual fugue that compliments Kody Nielson's recently released album also titled 'Birthday Suite'. WHAT: OriginallyfromDunedinAnthonieTonnonhastouredwidelyasasoloperformeraroundNorthAmerica, Europe and Australasia, sharing the stage with the likes of NadiaReid, TheChills and The Veils. 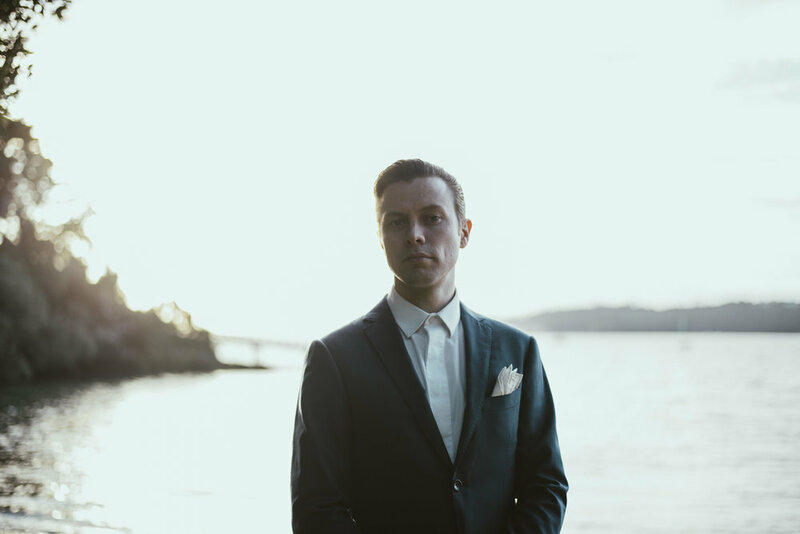 In 2015, his album, Successor, was a finalist for The Taite Music Prize, and the single Water Underground was a top five finalist for the APRA Silver Scroll award. Tonnonʼs one-of-a-kind show which combines both electronic and traditional instrumentalism is one for the books. WHAT: Bad Friend is Wellington based dreamo band made up of four young emos at heart. 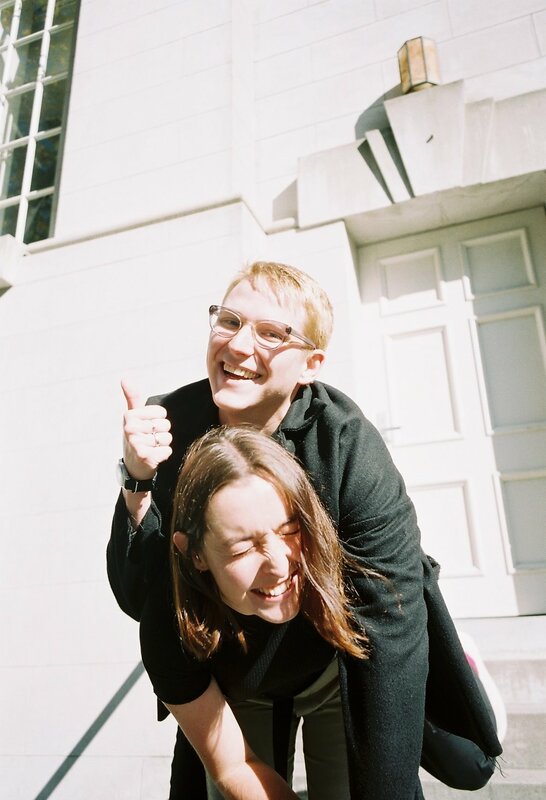 With the recent release of their debut EP 'Best Of', Bad Friend has done cool things like open for Australian heroes Camp Cope and supported our special friends including Carb on Carb on their most recent tour. Bad Friend capture all the dreamscapes that float within and around your head. If you like Pete Wentz doppelgängers, the colour lilac, OK stage banter and moody bangers then Bad Friend may be your new best friend. WHAT: Once described as "The Sonic Youth of the Southern Hemisphere", space-rock contortionists Bailterspace have been mining tortured noise and repetitive melody for the better part of 30 years. Born from the electrifying post-punk band The Gordons, this legendary 3-piece (who also formed The Gordons) have been mining tortured noise and repetitive melody for the better part of 30 years. Now in a rare opportunity to see them play live together, the trio have arrived to blast The Others Way before heading out on a NZ tour. 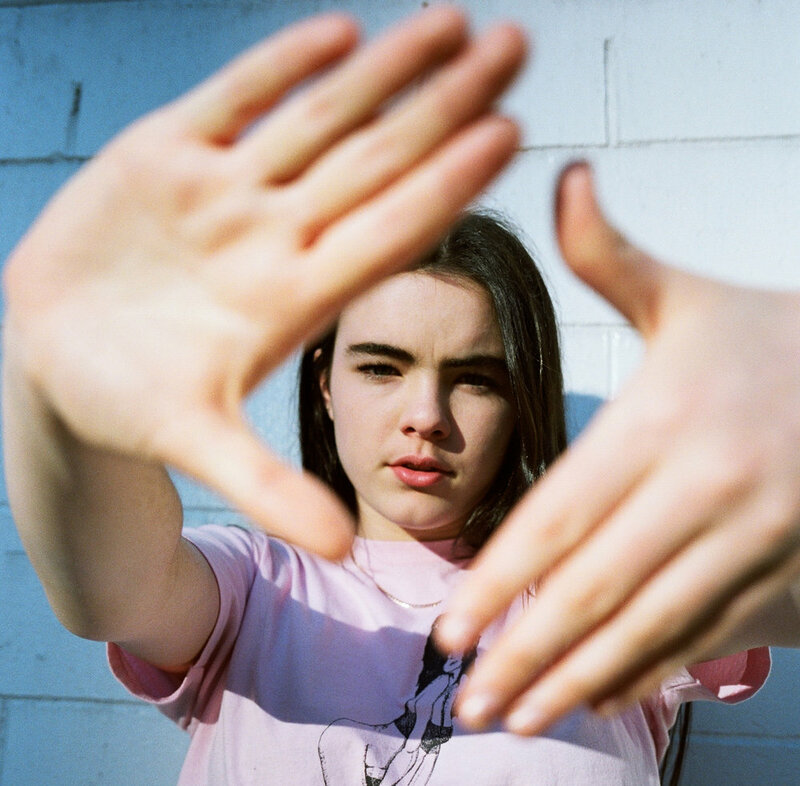 WHAT: From Grey Lynn via Morningside, 18-year-old Bene arrives at The Others Way with hot band in tow and a killer set of songs that mix indie-slack fun with a little r’n’b swing. And a voice to die for. She says it “Ben-E”. How do you say it? Appearing online a few months ago with the hooks with attitude track “Tough Guy”, Bene turned heads including Sniffers, who fell for the track’s “cliff diving guitars and synth bass” and “stripped back canyon full of melody”. Recording at Morningside’s Golden Age studio with producer Josh Fountain of Leisure, Bene has more tasty tracks lined up for release in coming months. WHAT: New Zealand four-piece The Beths channel their longtime friendship into high-energy guitar pop with a smart lyrical bite. 2018 has been a breakout year for The Beths, beginning with a signing to Carpark Records, a world tour, and the release of their freshman album ‘Future Me Hates Me’. The title track ‘Future Me Hates Me’ has been received enthusiastically by audiences worldwide, and second single ‘Happy Unhappy’ was named ‘Song of the Summer’ by Rolling Stone Magazine. WHAT: Nicole Gaffney (vocals, guitar) & James Stutely (drums) - have a reputation for being tour dogs. Their sound echoes the many intimate community spaces the band have played throughout the world. For Ages, the band's sophomore album, was released in May, and reached #11 on the NZ Artists Album Chart while their singles topped student radio charts. The album explores ageing, friendship, home and resilience in a way that is raw and relatable. 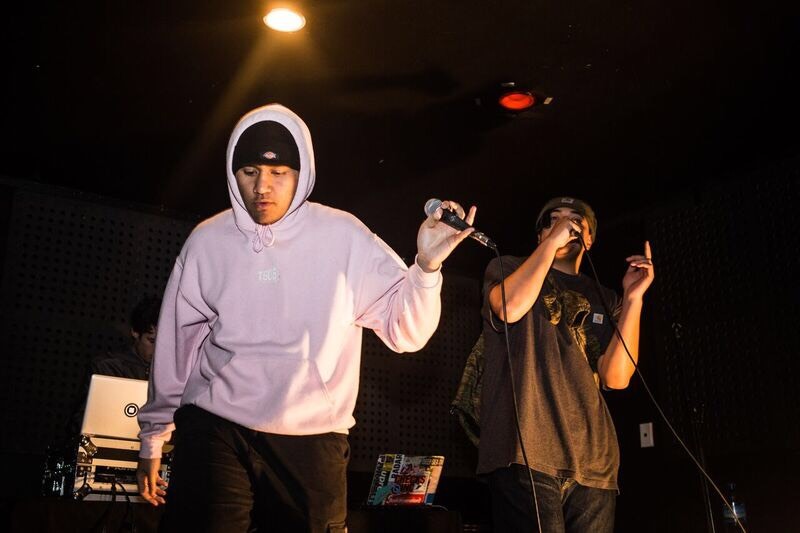 WHAT: Church & AP are a young rap duo currently on the rise in the NZ hip-hop scene. At only 17 & 18 years of age, the two have already started to make noise with the release of their debut EP ͚Thorough Bread͛. Their track ‘Alladat’ has you nodding your head and enjoying their unique sampling methods. Mentored by the likes of Raiza Biza, MELODOWNZ and other local legends, Church & AP are steadily building their name as one of the premier rap acts in the country. WHAT: Marking their first performance in 40 years the iconic 1970's NZ funk band, Collision return to the stage having recently featured on the fantastic Heed The Call compilation album, they are guaranteed to bring funk, soul, and groove in abundance. 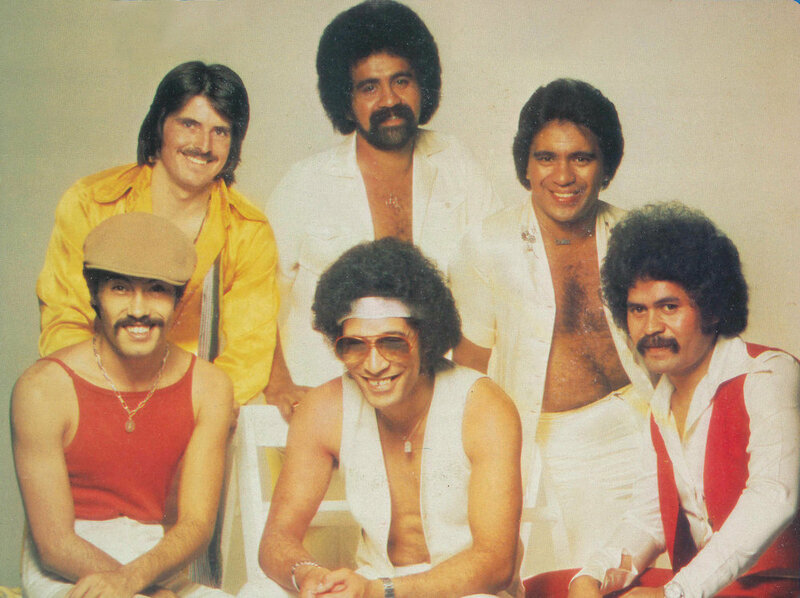 Originally from Tokoroa, the band formed in Wellington in 1973, played with Dalvanius and the Fascinations in the late 1970's and in 1978 recorded their self titled album in Sydney - an album that has become an internationally sought after rare groove classic. WHAT: Auckland rap outfit ‘COOL TAN' fka ‘HEAVY’ consists of Reem (MEER) and Liam (Dbldbl). 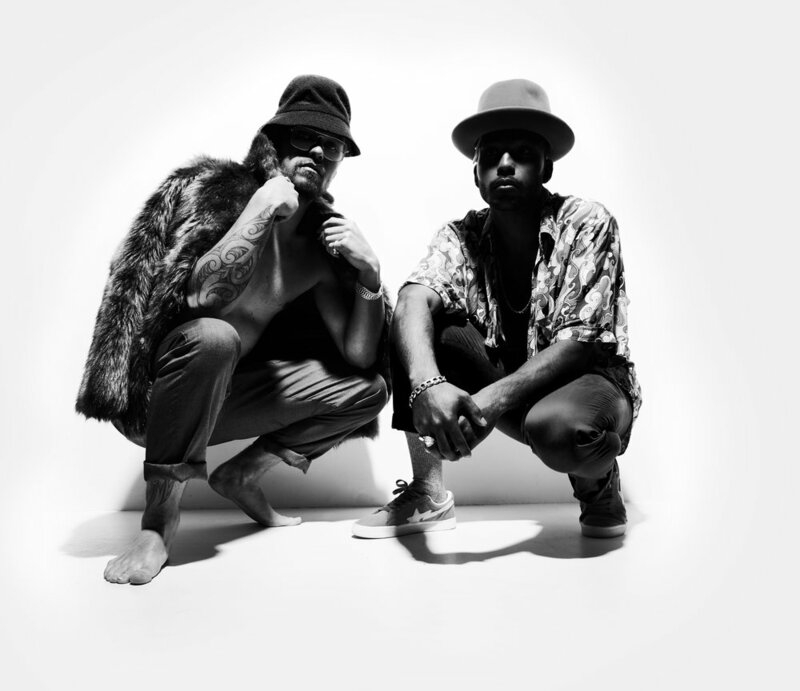 They are a favourite duo here in Auckland and are both are well versed in warming up a crowd having played an array of festivals (Splore & Laneway) and opened for numerous international acts (Jurassic 5, The Internet, Earl Sweatshirt, Le1f & Ratatat). The building was evacuated during their last performance at The Others Way Festival and they’re itching to go again. Unapologetic, brown and beautiful. Come get it. WHAT: After becoming best friends over 3 years ago Katherine (k2k) and Dirk (d. tyrone) have been DJing and throwing dance parties together all across Aotearoa. This very special, back-to-back DJ session is inspired by Dirk and Katherine's shared love of ripping techno, dog memes, bumping house rhythms and bees. If you feel like letting loose and dancing amongst a friendly vibe of people then be sure to attend. Bring a towel; it's gonna be hot~! WHAT: Liam aka ‘Dbldbl' is one half of Auckland rap duo ‘COOL TAN’. Buried under questionable and stretched out allusions lay a string of songs about crippling anxieties, depression and suicide. Dbldbl ties together a lazy yet proficient delivery and a self deprecating but loveable nature with body rolls worse than their references. Joining Dbldbl at this years The Others Way Festival are K’rd charmers ‘Stay Foolish’ - a live jazz group bringing the instrumentals from Dbldbl’s tracks to life for a unique performance unlike any other. WHAT: Dead Little Penny create a soundscape of noisy textures, fizzing guitars and ambient synth, paired with catchy fuzz-pop melodies. Their latest singles ‘Honeycomb’ and ‘U 4 Me’ have gained traction on alt-radio both nationally and internationally.As a teenager, front woman Hayley began making pop-punk and wall-of-sound music in her bedroom with a guitar gifted to her on her 13th birthday. 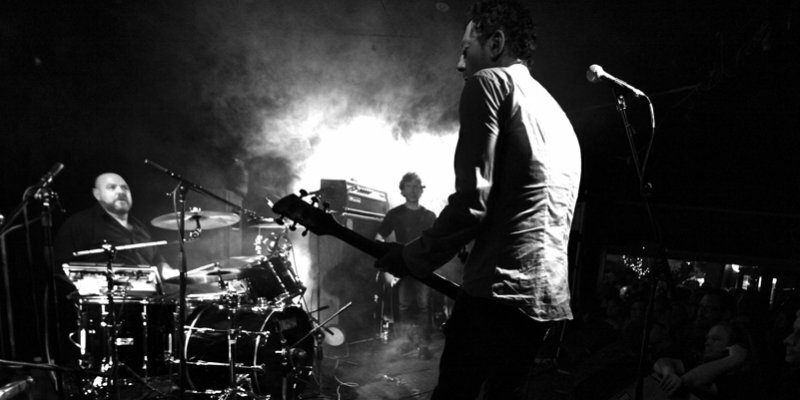 Based in Auckland, New Zealand, the band originally hail from the UK, with Hayley born in the Wirral, Merseyside, and Simon Buxton from Devon. Their album Urge Surfing is due for release later this year. WHAT: Death and the Maiden come from Port Chalmers, Dunedin. Their music crafts a shadowy sound world; populated by melancholic synth, reverb drenched guitars and vocal incantations that are both hypnotic and devastating. 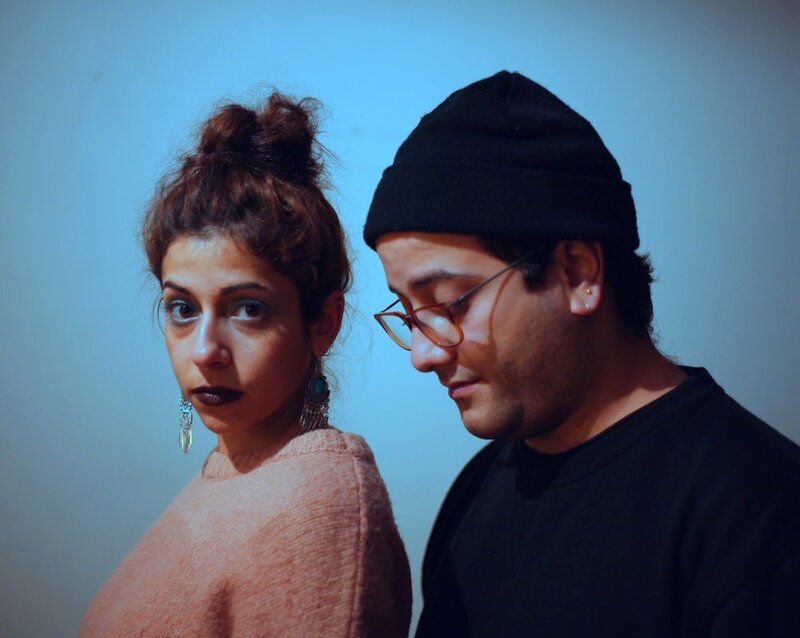 Their compositional skills create strong waves in sound that is nestled between programmed beats and also synth arpeggios, They have just released their second album 'Wisteria’. WHAT: Drenched in the storied history and traditions of post-punk, noise pop, shoegaze, lo-fi, and punk rock, Die! Die! Die! personify the sound of a thousand different nights played out in dingy bars, ramshackle DIY venues, and decaying concert halls around the globe. This year sees former bassist Lachlan Anderson rejoining the band fulltime, and will coincide with a period of writing as they begin work on their seventh full length album, and the follow up to 2017s Charm. Offensive. With a touring history as blurry and battle scarred as the busiest of artists of their home country, show by show, Die! Die! Die! have focused themselves into a captivating and dependable proposition. 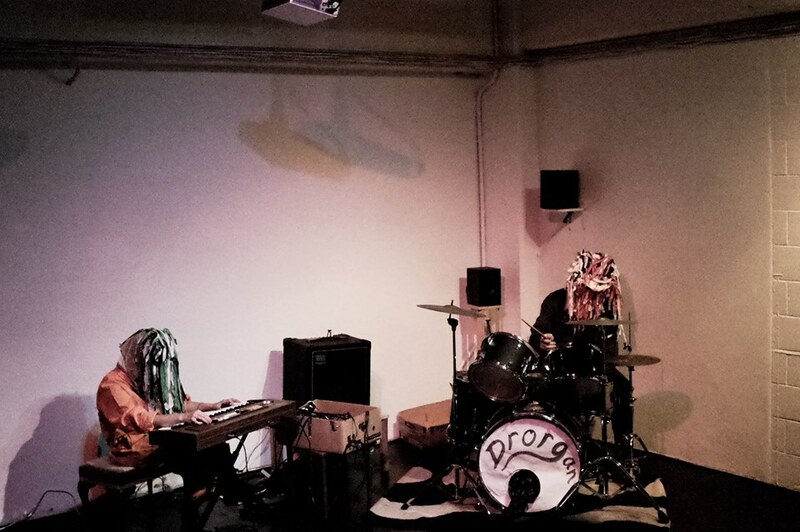 WHAT: Drorgan is a drums and organ duo from Auckland. They play FUTURISTIC NEANDERTHAL STOMP! Mysterious melodies, shimmering distortions and pulsing rhythms. It goes bam bam bam! and is DRORGAN. Drorgan is the weird, wonderful and strange all in combination with each other. WHAT: Elroy makes music that is dreamy, luscious and a little melancholic. It evokes relaxation, red wine and cheese at dusk, and the weightless feeling one experiences just before you drift off to sleep.Elroy has spent most of the past 10 years playing in bands such as Connan Mockasin, Liam Finn, Neil Finn, Lawrence Arabia and Wild Nothing. In between these projects, he has slowly crafted his debut album in various bedrooms and studios between Brooklyn NY, and Auckland NZ. Elroy’s self-titled debut album will be released early next year, with tour dates being announced shortly. He will also be playing drums with Wild Nothing internationally in 2019. WHAT: Like the rare occurrence of crystal frost flowers or lenticular clouds, Estère’s strange brand of Electric Blue Witch ­Hop creates an unparalleled melange of sounds.Referencing the meaty side of electronic music with succulent bass a top weighty drums and contrasting it with organic acoustic textures ­ Estère bedecks her production with an elastic voice and punchy, ethereal melodies. Estère’s lyric writing escapes the common realms of popular music, delving into imaginatively philosophical narratives surrounding ideas of belonging, displaced refugees, kids obsess.) Her incredibly dynamic has seen her play at festivals and venues around the globe. WHAT: French_concession is a solo art‐pop project of Ella Chau Yin Chi started in Shanghai in 2009. Her tightly woven and dreamy music scapes reflect the influence of her widespread travels, fusing her Hong Kong & New Zealand roots with stories and experiences gained around the world. Her work is ethereal, dreamy and filled with glossy synthesisers and pop vocals. This year, 2018, Ella released her 5th French_concession EP with the Wellington based label Ball of Wax. She was selected to participate in the Ear Up programme in Hong Kong, and has just completed her Europe tour with Indi (NZ) and DJ Mo Chan (Berlin). She herself played at this year’s Volkhof Festival in the Netherlands. WHAT: girlboss is the second-hand Macbook of bands. Lucy Botting is the holiday postcard of singers. Douglas Kelly is so musical he lives with the woman he met at a Suzuki Method camp. If all of Olivia Campion’s other projects like Yumi Zouma and Estère were listed, this bio would exceed its word count. Deanne Krieg brings Aro Valley charm and harmonies to the band.Melody comes first for Lucy. She writes songs with her Stratocaster underneath her mezzanine bed. Next to the Wellington Zoo in Newtown, the band turns the tunes to dream pop. 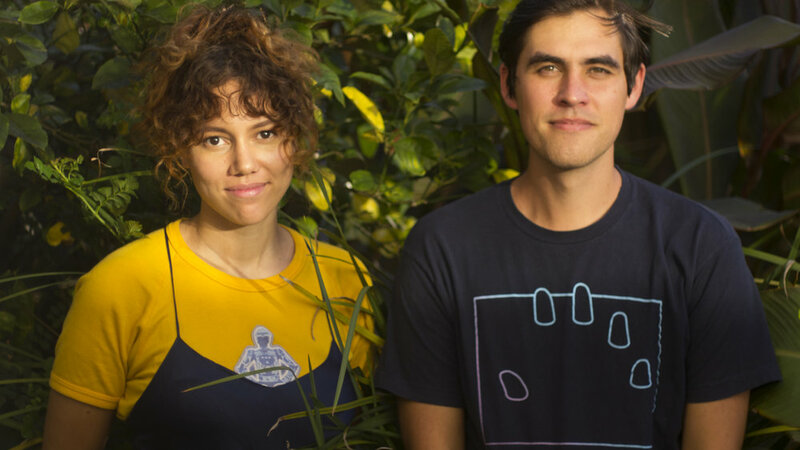 In March, girlboss released their debut EP Body Con, a small run of cassettes through Wellington label Ball of Wax Records. girlboss is now recording a new album, which will be as wintery as Body Con was summery. WHAT: Still in high school in Brisbane when they made their first album Up To Anything in 2016, The Goon Sax's brand of awkwardly transcendent teenage guitar pop took them into end of year lists for BBC6, Billboard and Rough Trade, and earned them raves from Pitchfork, Spin, Uncut, Rolling Stone and elsewhere. Second album We're Not Talking due out later this year takes the enthusiasms of youth and twists them into darker, more sophisticated shapes. Sounds stick out at surprising angles, cow-bells become lead instruments and brief home-recorded fragments appear unexpectedly. 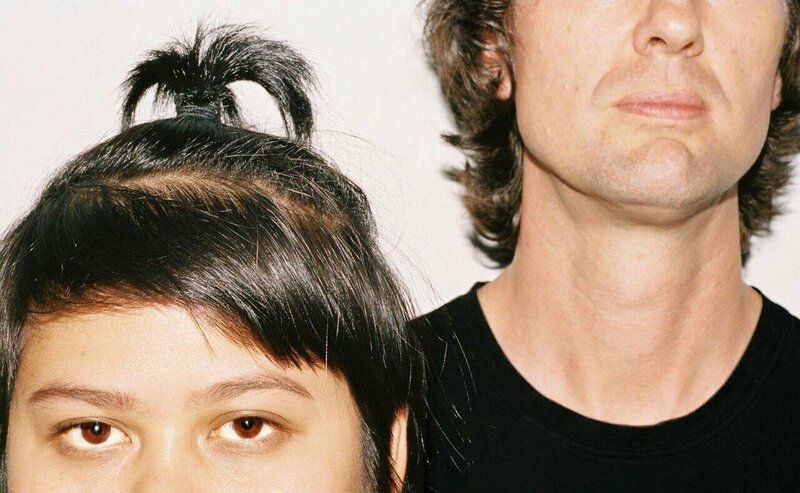 The band recently toured UK/Europe with Frankie Cosmos and played their first US dates, while in Australia they have played shows with Angel Olsen, Perfume Genius, Teenage Fanclub and many others. WHAT: Green Grove is the solo electronic project of Durham Fenwick, the guitarist for acts such as Bozo, Guardian Singles and New Gum Sarn. Green Grove began in early 2018 with the Night Music EP, written and recorded on borrowed synthesisers during the previous year; the record was described by Under the Radar as a "mind-expanding debut collection of lush tunes... leading listeners down gently-paced pathways of sound." With sonic influences based in exotica, lounge and electronic library music, Fenwick has since focused on bringing the EP to the stage, transforming it into a spooky, hypnotic and immersive live show with a full band. WHAT: Guy Blackman is one of the driving forces behind long-running Australian independent record label Chapter Music, which he founded in 1992 at the age of 17. As a solo artist, he plays deftly constructed, slyly subversive songs on piano and guitar that confront issues of love, sexuality and commitment. His songs evoke comparisons to Serge Gainsbourg, Tim Hardin and Kevin Ayers. 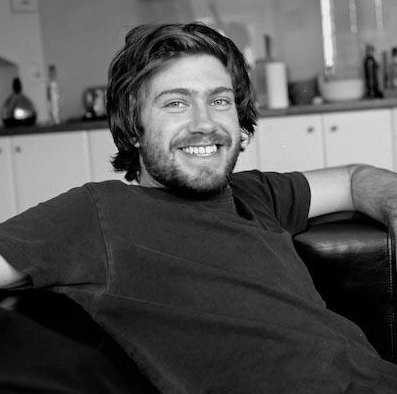 Guy's debut solo album Adult Baby included a duet with Swedish pop star Jens Lekman as well as guest appearances from members of the Dirty Three and Eddy Current Suppression Ring. Guy has played with artists like John Grant, Joanna Newsom, Bill Callahan, Vashti Bunyan, Owen Pallett, Jens Lekman, the Chills and many more. WHAT: Gregor is 24 year old Melbourne pop eccentric Gregor Kompar. He released an introductory cassette Thoughts & Faults on Chapter Music in 2016, which Stereogum described as like“Talking Heads meets Trolls.” His debut album proper Silver Drop emerges in Oct 2018. 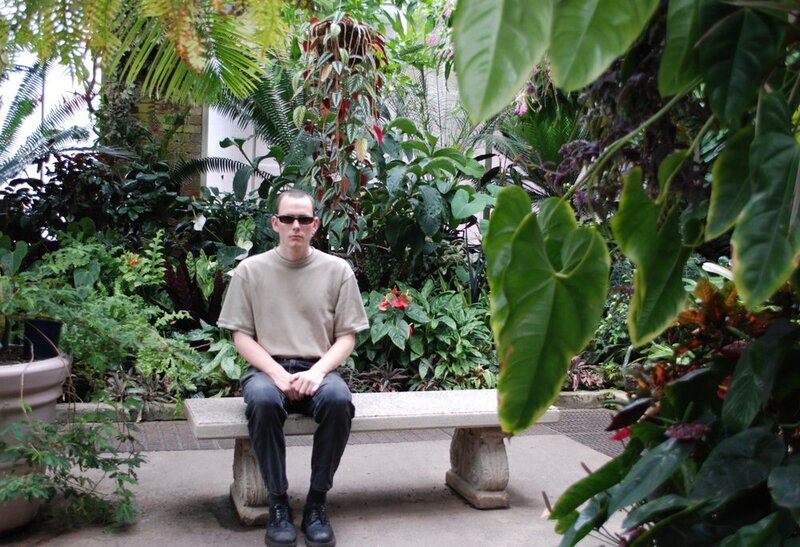 Spacious and delicate, but peppered with acerbic pop moments and extended, loping grooves, Gregor's music draws together elements of Arthur Russell and The The, all filtered through Gregor’s very personal vision. WHAT: Hans Pucket bring an energetic and eclectic set of tunes featuring three part harmonies, solid power-pop riffs and real lyrics.This year they delivered their debut album “Eczema” - a collection of addictive, cleverly crafted and heartfelt jams, recorded by the band in their hometown of Wellington. They consists of twins Callum and Oliver Devlin, and musical polymath Jono Nott (ONONO, Broods, Red Sky Blues). and have steadily grown a reputation as one of the country’s most dependably good-time, heart-aching, hard-grooving live bands. WHAT: Far from the jangly guitar sound many associate with Flying Nun, Headless Chickens utilised electronics, samples, and the darker side of rockʼnʼroll to forge a sound that was entirely their own. Itʼs been a big year, with their fantastic album Stunt Clown not only hitting the 30th Anniversary milestone, but also being awarded this year's Taite Music Prize Classic Album Award, proving it clearly stands the test of time. Now, in a fitting tribute to their recently departed friend and bandmate Grant Fell, Headless Chickens alumni Chris Matthews, Anthony Nevison, Michael Lawry, Fiona McDonald, Bevan Sweeney and special guest Rupert E. Taylor are reuniting to play selected tracks from both ʻStuntClownʼ and their early discography. WHAT: Three of the brightest local talents in the new generation of hip hop artists have joined forces to create ͚High Beams͛. High Beams showcases IllBaz's unique production chops with two of the best rappers in the game - Melodownz and Raiza Biza. High Beams is about shining a light on things that are discarded or overlooked, especially living in New Zealand, a country so distant from conflicts and human injustice on a large scale. WHAT: Hopetoun Brown are a tiny band, but Tim Stewart and Nick Atkinson have often bolted on other parts to this duo to create a more thug-like live sound. For their performance at this year's Others Way festival they'll be building a unique ensemble featuring congas, bongos, cowbells, go-go bells and a drum kit manned by Lord Echo and Weird Together percussionist Isaac Chadderton and Lawrence Arabia drummer Al Deverick. Sophie Burbery will bring her gleaming tonsils to the stage and Callum Passells, arguably the finest up and coming saxophonist in the country, will complete the six-person line-up. Expect trumpets, bass clarinets, trombones and saxophones! 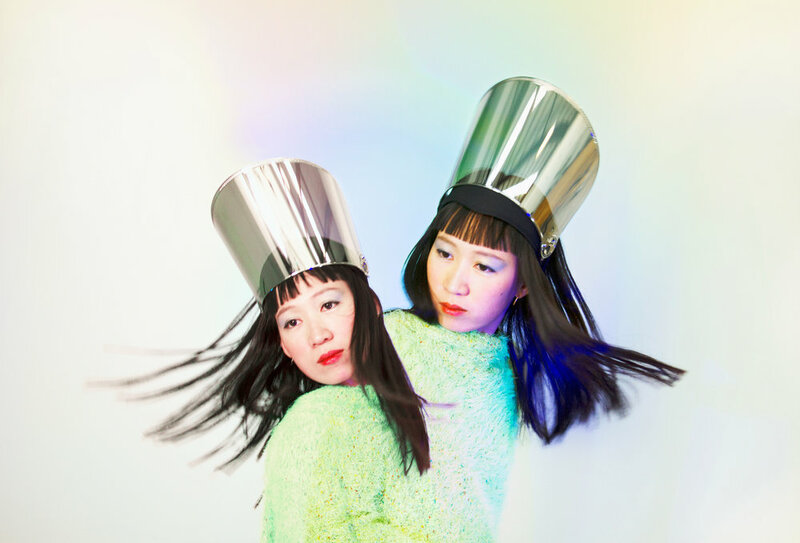 WHAT: Imugi 이무기 released their first EP titled ‘Vacasian’, a trip through the bicultural-Asian-girl-psyche and the healing it takes to go from being self-conscious to being self-aware. With roots in Korea and Aotearoa, the EP explores the multi-faceted, wholesome identities and complex issues that migrant women of colour face, through a mix of styles ranging from r&b, synth-pop, funk and spoken word. The goal is to embrace the beauty of diversity within multiculturalism and challenge Eurocentric structures within our culture. 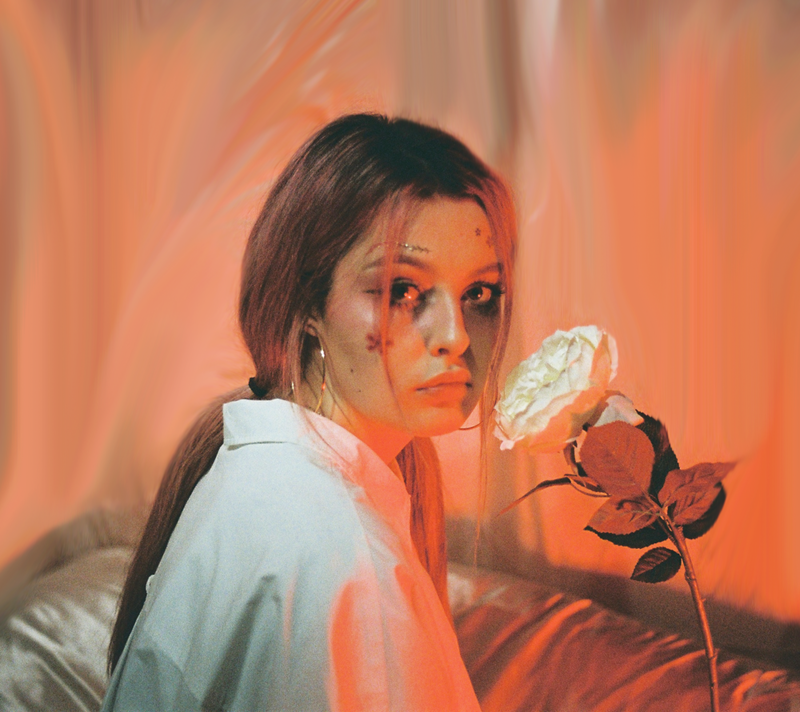 WHAT: 21 year old singer-songwriter Josie Moon hails from Wellington, New Zealand with a hypnotic and nostalgic approach to electronic pop music. Not shy of the stage, Moon has clocked live performances alongside Jon Lemmon, Maxwell Young, Physical and Mothers Dearest. She spent this past summer bunkered down with new collaborator Nik Brinkman (Mitch James, Abby Wolfe, Erith), consuming music and films from the past 30-odd years summating in an expanded style that is at once unique and universal, sublime and sympathetic, and surprisingly cohesive. Her upcoming commercial debut EP ‘ Rose Tinted’ is set to be released at the end of this month. WHAT: Over a career spanning fifteen albums, Auckland solo instrumentalist Kraus has collapsed space and time with a combination of psychedelic noise rock, freakish analogue electronics, and a wide range of exotic weirdness from Renaissance lute ballads to wiry Far-Eastern strings. His carcinogenic fuzz guitar, homemade synth, monolithic drums and bamboo flutes beam in from a parallel universe where the ancient past collides with the far-out future. WHAT: Melbourne songwriter Laura Jean is revered for the striking beauty of her music and the strength of her piercing, intimate lyrics. In Australia she has been shortlisted for the Australian Music Prize, and has recorded with national icons Paul Kelly and The Drones. She has toured Australia with Aldous Harding, New Zealand with Marlon Williams and heads to UK/Europe in November for a tour with Courtney Barnett. Her new album Devotion is a stunning artistic about-face, an enveloping, deep pop album like nothing she has done before. WHAT: Meer, who is otherwise known as Reem of rap Auckland duo COOL TAN is a Lebanese/Palestinian/iraqi wordsmith who has branched out on to her own solo project. Her raw and unapologetic raps speak about suffering and mental health. Hermusic journey creates a platform for others who are also living with depression from strict cultural traditions. 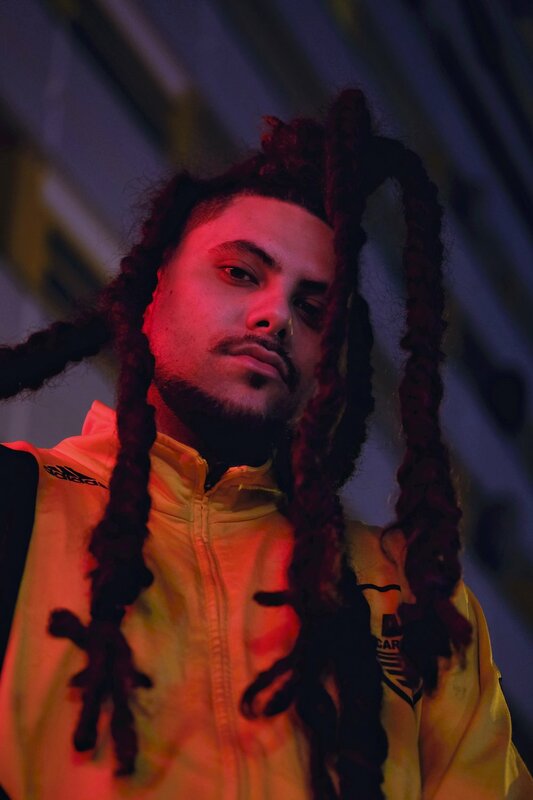 Meer has already dropped a 6 track EP, and a music video to accompany one of the tracks titled ‘Rotten’ shot by Frances Carter. On top of that she has just released a 2 track EP ft. Jess B. WHAT: Melodownz hip hop lyricist (Bronson Price), is a half cast’ Polynesian urban poet and artist raised in the phone line tangled urban village of Avondale, Auckland, New Zealand. Still pondering over a beer at the bar, headphones on the bus, or bouncing at the back of the venue at his show, you will wonder how you are still listening to the same performer as he traverses backdrops of boom bap, g funk, reggae, soul and hip hop with ease, dropping nuggets of wisdom, synonyms and analytical versification. From feel good partay vibes that will keep your head nodding to pre tinder date jitters, or an epic song for a local boxer as he enters the ring, musically, Melodownz has you covered. 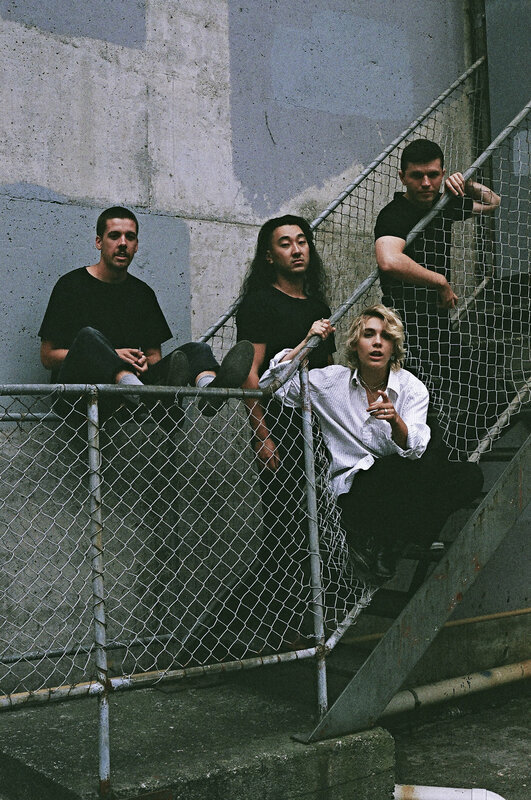 WHAT: Miss June is a high-energy 4 piece monster which burst onto the NZ music scene in 2014 with the release of their intensely unapologetic punk EP ‘Matriarchy’. 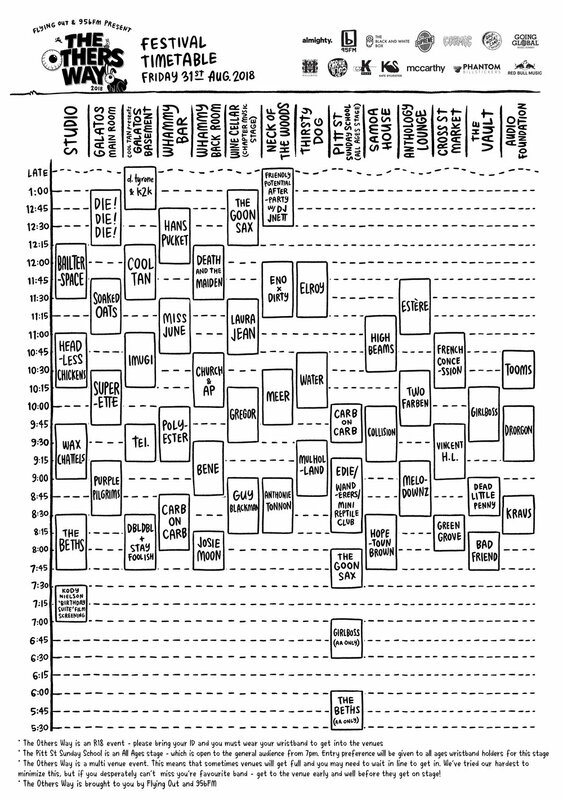 They've toured fervently off the back of this 10-minute-long ear punch, sharing the stage with artists such as Foo Fighters, Shellac, Shonen Knife, The D4, Die! Die! Die! Combining elements of punk, no-wave and rock they create a sound with melodic hooks and fast driven riffs that are immediately recognisable and entirely their own. In anticipation of the release of their debut album, Bad Luck Party (scheduled for worldwide release in November this year , they have been nurturing a more mature sound with the help of local legend Tom Healy in The Lab Studios. WHAT: Polyester make pop songs charged with emotion - blending pop hooks with 80’s synths, sparkling guitars, and Chic-inspired disco grooves. 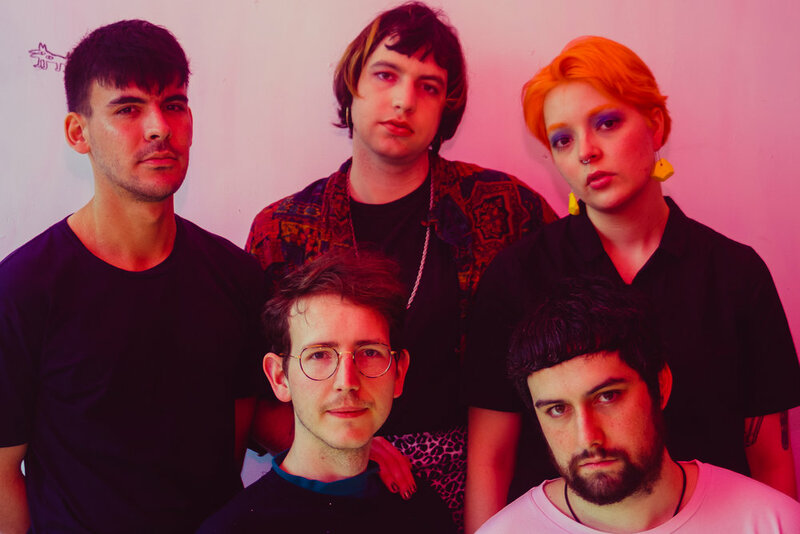 The Auckland five piece have had a bumper year: they played Laneway 2018, they toured New Zealand, and they released their self-titled debut album. All three singles from the album (‘Different for a Boy’, ‘Maybe’, and ‘Satellite’) have been number one on the 95bFM Top Ten, and the album has been described as a ‘stylishly catchy insta-classic’ by Under the Radar. Things are looking sunny for Polyester. WHAT: Soaked Oats are a young four-piece band hailing from Dunedin, New Zealand . The band is made up of lead vocalist Oscar Mein who scribes the clever, witty and thoughtful observations on life. And fruit. Guitarist, Henry Francis and his amazing pedal-board is on the noble path to tone mastery making the instrument sound like it was made by unicorns. Rhythm section Max Holmes (bass) and Conor Feehly (drums) provide the backbone, the funk and keep the party going. WHAT: One of Flying Nun's best decisions of the 1990s was to. sign the powerful-popping trio known as Superette. Their one-and-sadly-only album 'Tiger' remains one of the fiercest and finest releases in the catalogue, an is finally seeing the light of day as a long-awaited re-issue next month. Fronted David Mucahy of JPSE, and joined by Ben Howe and Greta Anderson, the three piece's debut still sounds as powerful and infectious as it did at the time. It's been a long time between drinks, so come along and get giddy to tunes like "Touch Me", and "Killer Clown", and Saskatchewan"! WHAT: Two Farben is the duo incarnation of the larger Auckland based ensemble called New Farben - both groups features nz musical icon Jonathan Crayford on synthesiser/effects and ladi6 drummer Julien Dyne on drum set and sampler. 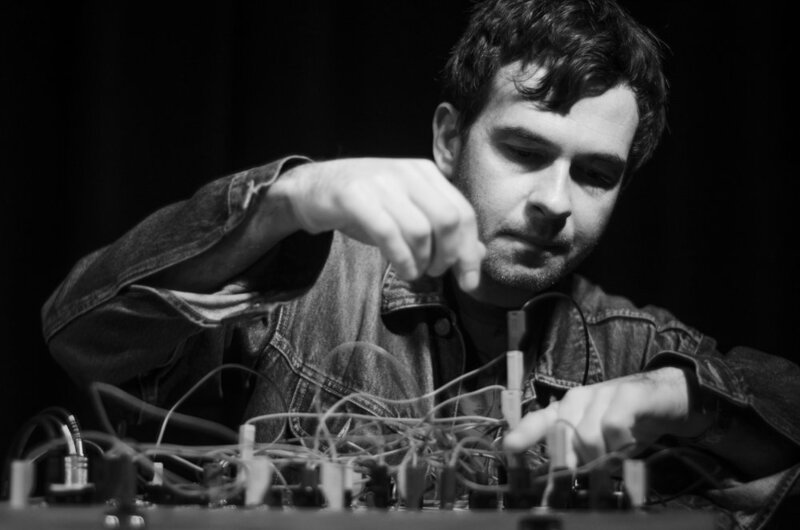 Two Farben uses music from Julien Dyne as the basis of a launch pad for spontaneous dance music. No two shows are the same for this high energy and inventive duo. WHAT: Vincent H.L may look like a slack dude who sits around all day eating chicken chips and bananas, but actually he’s spent a good part of the last three years creating the psych country soundtrack to your tramadol nightmares. His debut album Weird Days was released earlier this year. On the album’s sound, Vincent says: “I like country music and doom metal, so the initial idea was to try and make the sensibilities from both genres work together. In places it’s got a tired woozy feeling, sort of like a golden hangover day. And in other places it gets a little bit spaghetti western with a primitive stomp...” Vincent H.L has been making music around Auckland for ages. He fronted stomping garage blues trio Whipping Cats, and has smashed keys for The Conjurors. He currently plays with the gents in Magic Factory. WHAT: Named for the liquid that facilitates all life on earth, the band’s dynamic can easily be described as natural. With the music and camaraderie developed over a long and organic writing period, little attention was given to much besides discovering the band’s collective sound through a system of natural selection involving an extensive amount of songs and live demo recordings. Featuring the vocals of Oscar Davies­Kay (Rackets), Vince Nairn (Rackets) on lead guitar, Rikki Sutton on rhythm guitar (Eyes no Eyes, Couchmaster), Mike Ellis on Bass (Surf City, The Nightshades, No Aloha) and Mason Fairey on drums (BoZo, The Naenae Express, The Pleasure Majenta) Water have a lot of combined activity in the New Zealand music scene and have more associated acts than could be mentioned here. outside of their home country or received any support from larger press outlets.Far from conventional, they create an atmosphere akin to a traditional loud power trio — using a keyboard, bass and 2-piece drum kit to create darkly hypnotic, frenetic music that's simultaneously sinister and rhythmically complex. WHAT: Inarguably one of Australia's biggest house luminaries, Melbourne native Jeanette Pitruzzello aka DJ JNETT has been spinning records and creating heat in Melbourne's music industry since the 90s. JNETT's boundless crates of wax & supreme turntable technique spans seamlessly throughout deep house, techno, funk, soul, disco, dub, reggae, and hip hop which has won over countless audiences. WHAT: Girls Rock! Camp Aotearoa is a week-long holiday programme for young women*, where music is the medium to build confidence, empowerment and foster social change. *Young Women includes female, transgender, intersex and non-binary youth. WHAT: Two little songwriters from little New Zealand singing our stories to anyone who will listen. WHAT: Edie delivers raw unfiltered emotion in her music, dripping head to toe with pink glitter graphics and rage. While originally just wanting to have stayed a karaoke legend in the living room, she is ready to bring her gifts to the big stage. *The Event is R18 please bring ID. You must wear your wrist band to get into the venues. *No wrist band-no entry. *We do everything to schedule the event to avoid clashes and venues being at full capacity, but please be aware from time to time you may need to wait in line to get into avenue. If there is an act you absolutely can't miss-make sure you get to the venue in plenty of time. *The Pitt Street Sunday School is an All Ages stage-which is also open to the general audience from 7pm. Entry preference will be given to all ages wrist band holders for this stage. *Don't just stick to one spot-there's plenty to see, and half the fun is the chaotic run of the bulls in the street!